The next installment of Verdon's internationally bestselling series featuring retired NYPD detective Dave Gurney, who must solve a deadly puzzle amidst murder and racial strife in one small town. Tensions have been running high in White River as it approaches the one-year anniversary of a fatal shooting of a black motorist by a local police officer. The economically depressed, racially polarized city is on edge, confronted with angry demonstrations, arson, and looting. In the midst of the turmoil, a White River police officer is shot dead by an unknown sniper. As the town spirals out of control, local authorities approach Dave Gurney to conduct an independent investigation of the shooting. The situation in White River becomes truly explosive as more killings occur in what appears to be an escalating sequence of retaliations. But when Gurney questions the true nature of all this bloodshed, and zeroes in on peculiar aspects of the individual murders, his involvement is suddenly terminated. Obsessed with evidence that doesn't support the official version of events, Gurney cannot let go of the case. Despite intense opposition from the police, as well as from dangerous fanatics lurking in the shadows, he begins to uncover an astonishing structure of deception—learning that nothing in White River it what it seems to be. 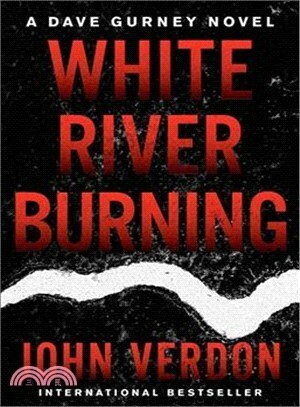 White River Burning is the most provocative and timely book yet by the author hailed by the New York Times as "masterly"—furthering the adventures of Dave Gurney, a detective reviewers have compared to Sherlock Holmes. JOHN VERDON is the author of the Dave Gurney series of thrillers, international bestsellers published in more than two dozen languages: Think of a Number, Shut Your Eyes Tight, Let the Devil Sleep, Peter Pan Must Die, and Wolf Lake. Before becoming a crime fiction writer, John had two previous careers — as an advertising creative director and a custom furniture maker. He currently lives with his wife Naomi in the rural mountains of upstate New York—raising chickens, tending the garden, mowing the fields, and devising the intricate plots of the Gurney novels.